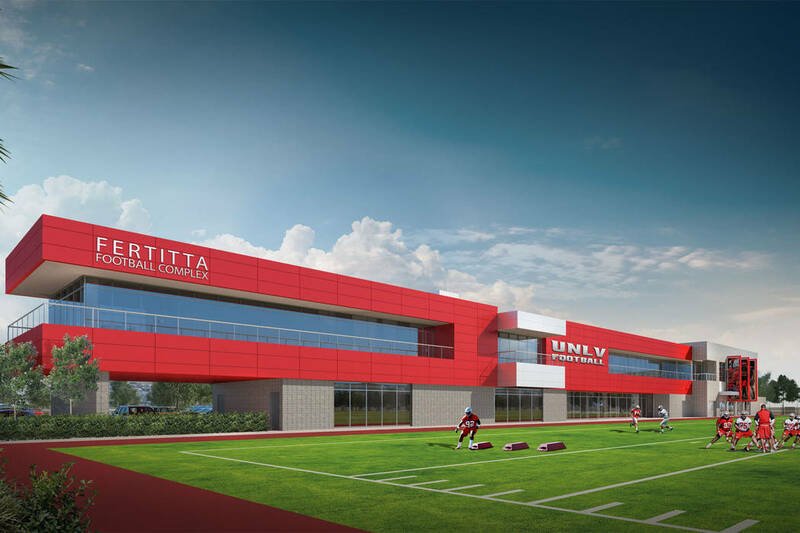 The cost of construction for the Fertitta Football Complex has increased significantly, causing UNLV officials to delay building the interior of the second floor until additional funds are raised. 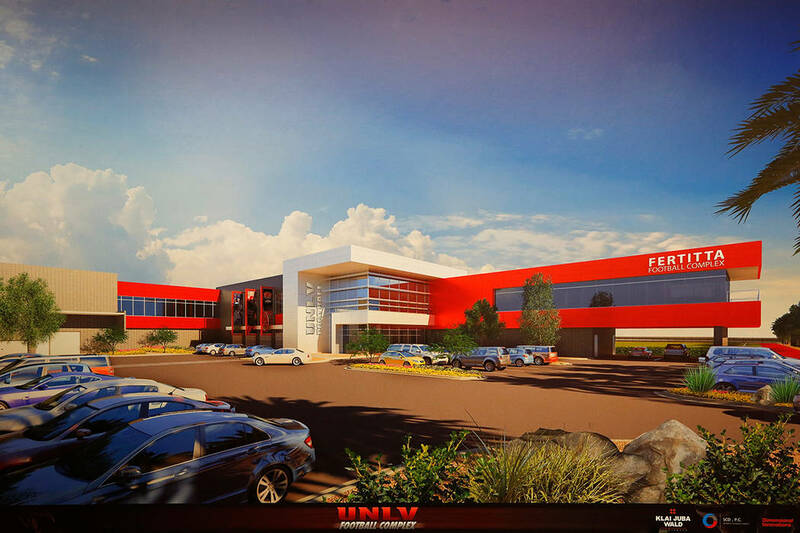 This is a handout rendering of the Fertitta Football Complex. (UNLV). 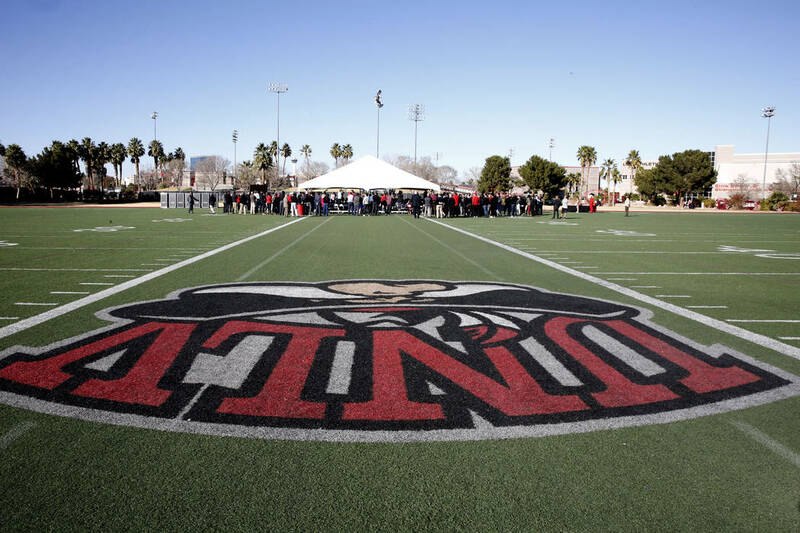 UNLV athletic director Desiree Reed-Francois said Tuesday that the total cost has risen to $31 million, up from the $24 million to $26 million projected when the project was announced two years ago. The complex, which fourth-year coach Tony Sanchez has spearheaded since taking over the program and touted as crucial to recruiting, is under construction and expected to open next spring. At this point, the second floor will remain left undone inside, meaning the coaching staff will stay at Lied Athletic Complex until enough money is raised. Part of the Rebel Athletic Fund staff is solely committed to raising the money. 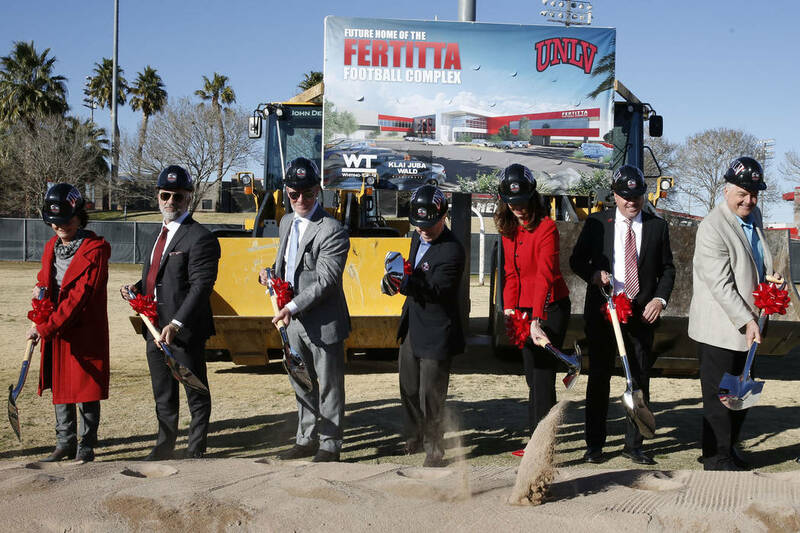 “UNLV has already raised more than 80 percent of the total funds, and we continue to work hard to raise the additional monies,” Reed-Francois said in a statement. “We are only building to the funding that we have committed to this point, and that has meant necessary changes to the design. Sanchez said he did not want to add to Reed-Francois’ comments. Lorenzo Fertitta, whose family has pledged $10 million to the project, did not return a request for comment. A groundbreaking ceremony took place Jan. 23. The two-story, 73,000-square-foot facility will house locker and meeting rooms, a strength and conditioning center, and training room, among other features. It will sit next to the practice fields at Rebel Park.